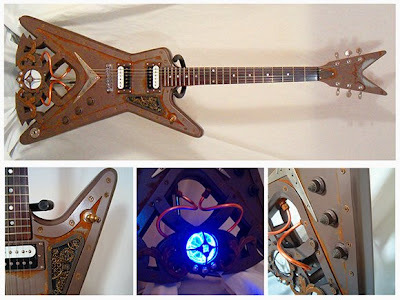 "The Villanizer" made by Thunder Eagle Guitars, more info here. 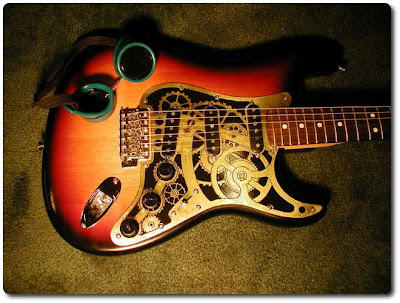 "The Nautilus" also by Thunder Eagle guitars. 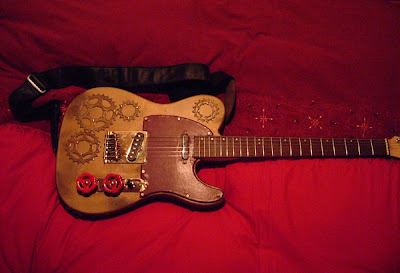 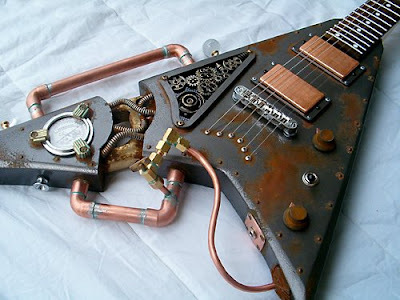 "Stratocaster" made by Jake von Slatt from Steampunk Workshop.